As I’ve mentioned, my son recommended this book to me. I don’t know about you, but sometimes it’s nice to read something different for a change; something you wouldn’t necessarily pick up on your own. But, I really had no choice. My son was so excited about this book and wanted to share the experience with me so much that I just had to pick it up. And I’m not sorry I did. 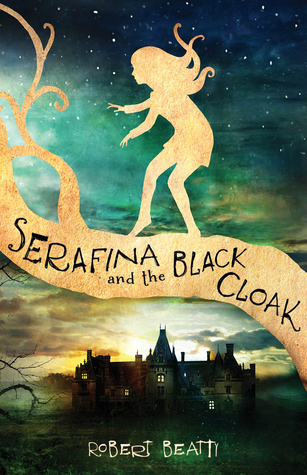 Serafina is a lovable character and I can’t get enough of her untamable spirit. I’m only about half way through, but I’m really enjoying the story. My quote is from Page 71. I hope you enjoy! Is it something I would enjoy? So glad that Jaxon likes to read too. It was Andru actually and so far, I believe you would love it. Thank you. May be I can borrow it when we come home.